It seems like every week a new platform that promises content writing jobs is born. So what are some of the newest platforms to find content writing jobs? And do any of them pay well enough to help you move up and earn more? This isn’t your typical content mill platform that connects freelancers with clients who want fresh content. Content Mutual wants to help you sell your repubs. How it works: You can post articles you’ve already written for others who are interested in purchasing the printing or reprinting rights. Content Mutual manages content-use rights for you and mediates the transaction between the content creators and publishers. So can you write about whatever you want and get paid? Maybe. But this platform has a high volume of free content from publishers that are looking for more traffic. Articles published in Newsweek, Mashable and Scientific American were listed for free – that’s some tough competition for someone looking to be paid for their work or enter a new market. Content Mutual CEO and founder Joshua Tobkin did not respond to requests for more information about content writing jobs on this platform. 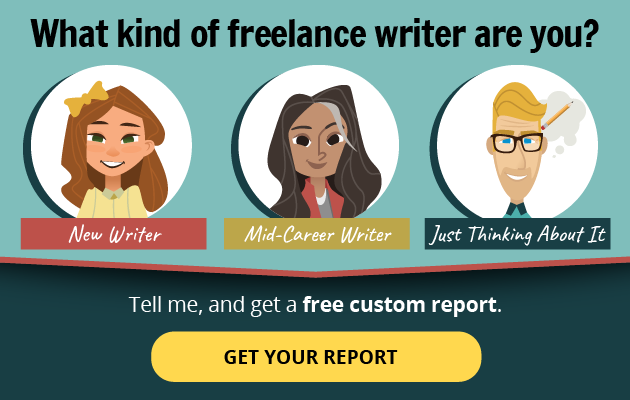 It’s another player in the land of middle-man agencies that aim to connect freelance writers with clients. And while CrowdContent has been around a while, it’s still growing, says founder and CEO Clayton Lainsbury. How it works: Sign up. Create an account. Accept a content writing job order placed by a client, and get to work. You’ll chat directly with the client to ask questions, make any necessary edits, and complete the assignment. What’s it like to write for CrowdContent? Some writers like the flexibility of taking assignments when it’s convenient and making a little money. But freelancer Michelle Bentley says it didn’t work out for her. Bentley says she could have hustled to earn back a two-star rating, but it wasn’t worth it. “CrowdContent is a little tough to write for as they punish you severely if you cancel an assignment or miss a deadline,” says Bentley. Rates: Average pay: $7 per 600-word article. Serial entrepreneur Joe Daly launched FreelanceMyWay to provide a better way to connect freelancers with businesses in need of remote help. It’s a spinoff of LogoMyWay, which Daly created to offer affordable logo designs for new businesses. How it works: It’s pretty similar to other middle-man agencies that require you to sign up and create a profile. But it’s not a free-for-all, says Daly. Freelancers are also required to submit a portfolio for review before being accepted. Rates: Once you’re through, you can bid on jobs. But as of today, the site only shows two open content writing jobs. One for $80 to write a 2,000-word article on “how to become a freelance writer,” and a $40 gig for something else. When Michael Brooks founded GoLance, he already knew Upwork was going to be his biggest competitor for trying to match freelancers with clients for content writing jobs. So he studied Upwork extensively to try and create a better experience for both parties. How it works: Sign up. Create a profile. Bid on jobs, and expect to compete with dozens of other writers for available gigs. As of today, GoLance lists six open content writing jobs for travel writing, sales copy, video copywriting, social media content, and SEO writing. Rates: Not every gig on GoLance includes a fixed price or hourly rate, which means there may be room for negotiation. But of the current content writing jobs available, published rates are $50 to $120 per assignment. Paydesk was created by Morgan Sowden and Henry Peirse in 2016. It started as an idea a year earlier during an assignment in Bosnia. Today, Paydesk freelancers have landed journalism gigs for all the major news networks, some national newspapers and magazines. How it works: If you want to land a content writing job on Paydesk, start by creating an account and setting up a profile with details about the kind of journalism work you do. Once you’re in, an editor at a news outlet can find you and make a story assignment. But you can also pitch story ideas. Think query letter, well-written lede, expert sources, basic outline of the piece, and your creds that make you the best person for the assignment. Rates: Les Neuhaus from the International Journalist’s Network says small assignments pay $50 to $100. And larger assignments can pay $1,000 or more. But many of the assignments are made to freelance journalists in foreign countries. After working with a team of copywriters for more than a decade, Pavlo Kucheruk founded Writology to connect more freelancers with the demand from business for great content. How it works: Writology doesn’t have a vetting process like FreelanceMyWay. But you’ll still create an account and add details to build a profile to attract clients, and bid on content writing jobs. Rates: As of today, Writology has five content writing jobs available. Rates vary from $1 to $100 per project. Writers.work is distinctly different from all the other middle-man agencies in this list in a couple of different ways. It’s an aggregator that collects content writing jobs across the web in one place. And includes a text editor and other web-based software designed to help you manage your freelance business. Harrell says that Writers.work is designed with features for displaying a portfolio, finding writer’s guidelines for magazines and publishers, looking for gigs, and more. It’s supposed to be a one-stop shop for finding, managing, and tracking writing projects. “We’re focused on trying to build a platform that has a variety of career-enhancing features for freelance writers, and we’re trying to avoid a platform that drives prices down by auctioning off writers,” Harrell added. How it works: Get out your credit card and pay the membership fee to get access to the job listings, software for writers, and free training. It’s $15 a month or a single lifetime fee of $47. Create your account, and start sifting through the listings for content writing jobs in your niche. Rates: It depends. Writers.work doesn’t actually hire writers or help facilitate a writer-client transaction. Rates vary based on the aggregate jobs listings, and many of them come from Problogger and Indeed. What’s it like to write for Writers.work? Freelance writer Ben Taylor says Writers.work has potential to help freelance writers find well-paying gigs, but has at least one fatal flaw. The primary complaint voiced by dozens of writers is based on its marketing strategies to get writers to pay the fee and sign up. What do you think? Should you be spending time on middle-man agency platforms to compete with other freelancers for content writing jobs that don’t pay pro rates? It’s possible to make a little money on these platforms. But if you want to move up and earn more and seriously pursue freelance writing as a full-time career, you’ll need to do more direct marketing to land your own content writing jobs. Is a middle-man agency platform a good place to find work, or a place to avoid? Let’s discuss on Facebook and LinkedIn. Freelance writer Kaitlin Morrison and Make a Living Writing Editor Evan Jensen contributed to this post.